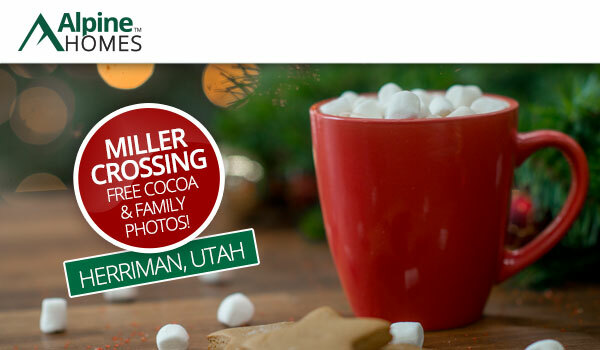 Join us Saturday, December 16th from 12 to 2pm at the Miller Crossing model home in Herriman for a free professional photo with the Grinch and free hot cocoa! * Enjoy a steamy, hot beverage while you tour the model and quick move-in homes and get a holiday family photo as well! *One professional photo per family. One free hot cocoa per family member attending event.